SAPARYA (Synergizing Actions through Participatory Approach) is a Community led Tourism Planning process, was aimed at the identification of inherent natural and cultural elements, heritage, lifestyles, traditional art forms and occupations of a region that can be linked to tourism in a participatory mode and integrating potential components into tourism circuits and packages in a manner that brings direct benefits to the local community and stimulates regional development. SAPARYA aim was to utilize tourism as a means of sustainable regional development, integrating all possible sectors and the development of necessary basic infrastructure including local leisure facilities using local resources. To hold up the tourism development initiatives, at grass root level the planning process which is through a participatory process has undertaken from bottom to top. Tourism is closely associated with quality infrastructure and quality products and every attempt for planning in these areas need grass root level interventions in situations and gap analysis. The detailed resource mapping lead to the identification of the gap coming out with projects and for mitigating the gaps and formulation of innovative tourism products. Local government has a crucial role in the development of regional tourism as well as the fill up infrastructure lacunas. Local governments provide the core utilities and infrastructure on which the tourism industry is really based. 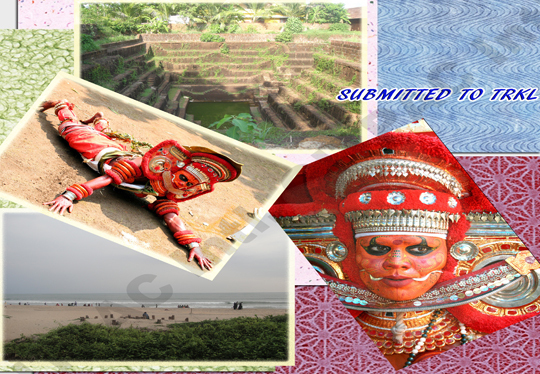 In addition to this local self government can perform noticeable tasks like linking community with tourism, heritage conservation, monitoring, development of local tourism enterprises, creation of tourism related jobs, promotion of local art, culture and heritage etc. 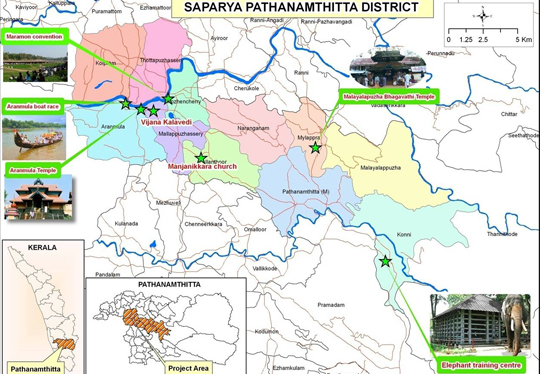 So the SAPARYA envisaged synergizing the actions of stake holders like local self government, industry and community through a participatory planning approach. This approach ensured grass root level interventions needed at every attempt for planning in these areas in order to conduct an effective and detailed resource mapping in the project area. A detailed resource mapping done wholly identify possible needs required to accentuate these resources into tourism products and their integrated circuits. This brings forth quality infrastructure and quality products that tourism is closely associated with. Discrete projects can then be participatorily planned, developed, implemented and managed for the benefit of all the stakeholders.